The president of Félix Solís Avantis concludes his presidency of the Spanish Wine Federation, and the Spanish Wine Observatory. On April 3rd 2013, Felix Solis Yañez concludes his Presidency in the Spanish Wine Federation and the Spanish Wine Observatory, responsibilities that he had combined well since 2010. During these years, his position as President of both institutions has enabled to know closer the trends of wine market and work together to promote moderate wine consumption of Spanish wines in the national and international market. In the Annual Meeting of the Spanish Federation of Wine that took place in Madrid on April 3rd, Felix Solis ends his tenure stating his acknowledgment for having the opportunity to work with the best professionals in the Spanish wine field. During the event, Pau Roca, General Secretary of the FEV, praised Mr. Felix Solis´ work for opening the dialogue with the Spanish Health Ministry, a relevant benchmark for a promising strategy in the wine business. 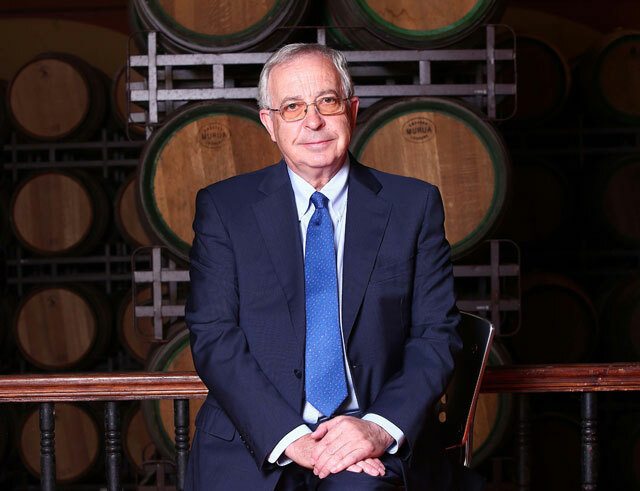 On his side, Rafael del Rey, General Director of the Spanish Wine Observatory, in the meeting of Patrons, which also took place on the same day in Madrid, thanked Mr. Felix´s work and declared his deep respect for a person who showed a great knowledge of the wine business, as part of his experience in wine for more than 40 years. `Felix´s enthusiastic work – Mr. del Rey declared – , his support to the activities in the OEMV and the intense dialogue with Government and other institutions, are an example and a labor to be admired`. Felix Solis Yañez gave a moving speech showing his satisfaction with the work done during this past three years as President, and committing himself to work for the wine business, but from now on, from the winery where he works as President and CEO, Felix Solis avantis.